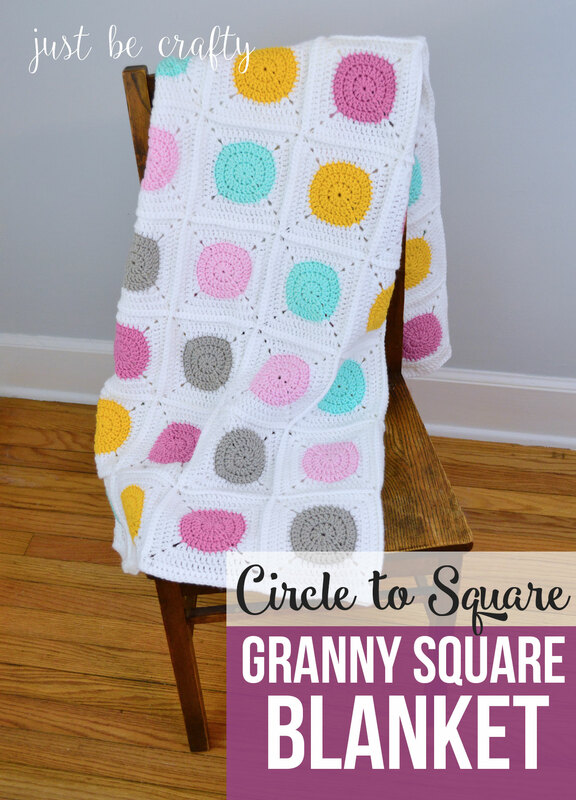 The circle to square granny square blanket is a modern take on the classic granny square blanket! This pattern is a must try! 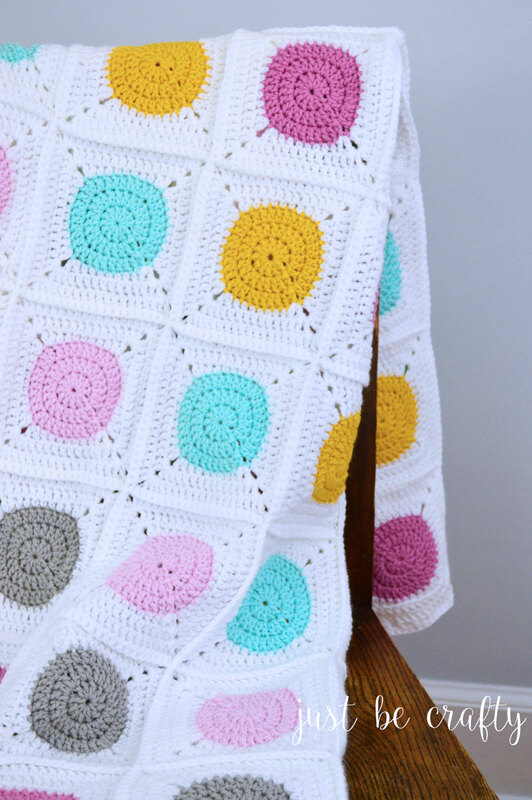 You might remember a few weeks back I shared the photo tutorial and pattern for how to make the Circle to Square Granny Square and now I have FINALLY whipped up the blanket. This pattern makes a throw blanket that is approximately 36 inches wide by 66 inches tall, and is the perfect size for a throw/lap wrap. The blanket can be easily made larger or smaller by simply making more or less squares. Do you think you’ll give this pattern a try? Let me know in the comments below! Without further ado, let’s dive into the pattern! The photo tutorial and pattern for the squares can be found here. Create 60 squares. Weave in all ends. 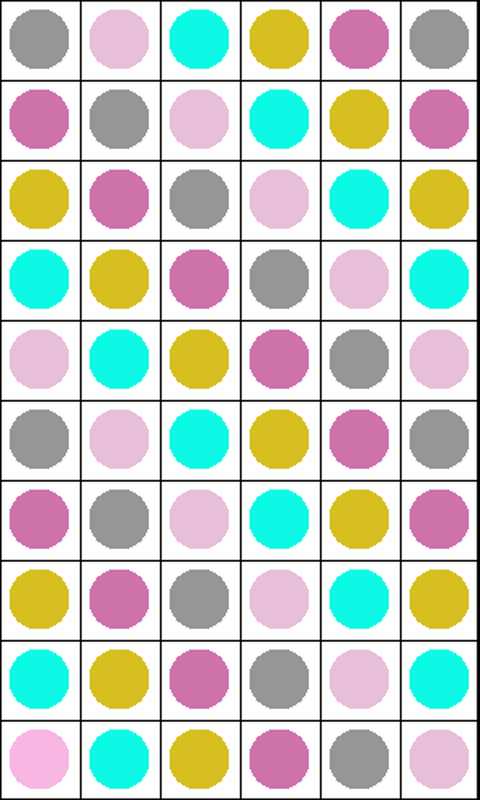 Below is the color graph I used for my blanket, but feel free to get creative! Once your blocked squares have dried, lay them out as shown in the grid above. After joining, you will be creating a border with hdc’s. Round 1: Starting in a corner, ch 2 (ch 2 does not count as a stitch), make 5 hdc, hdc in each stitch around the blanket, making 5 hdc’s in each of the remaining corners, join with the 1st stitch of the round using slip stitch. Round 2: ch 2 (does not count as a stitch), hdc in each stitch around the blanket, making 3 hdc’s in each center corner stitch. Join with the first stitch of the round using slip stitch. 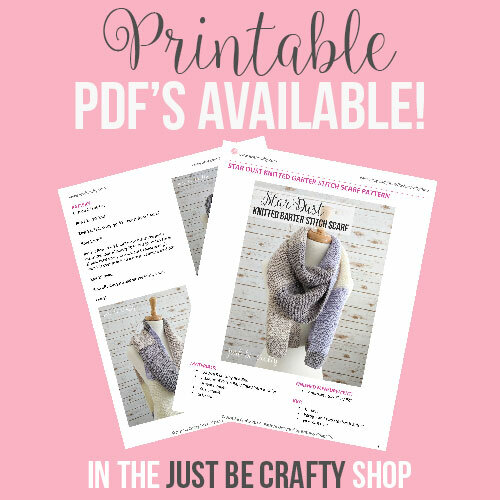 **For more tips and tricks on this pattern, check out this new post here! How many squares would you recommend from a baby blanket? Each square is about 5.5 inches. For a baby blanket I would suggest making 36 squares with 6 rows of 6. Hi Brittnay! This will be my next project the Big Twist Value yarn is no longer available from JoAnns would other options from their line be comparable (ie big twist Sincerely). Thanks! Love this pattern. My son saw it while I was scrolling through Pinterest. We were looking for ideas for a full size afghan for his bed. I’m using Premier yarns Everyday Worsted and have made 9 of 143 squares so far. I’d love to send you a picture once its finished so you can see the colors we used. Is there an email I can send it to? I actually do not have a video on how to join the squares yet, but I do have it on my list!